An event like this is the ideal expression of our Catholic identity,” President Simon Newman . Mount St. Mary’s University, the nation’s second oldest Catholic University today announced, that students are enlivening their faith this Lenten season by holding a Living Stations procession on Sunday, March 13 at 3 p.m. The Living Stations of the Cross was an initiative started by then-President Elect Simon Newman in December of 2014, as part of his strategy to enliven and enrich the expression of University’s Catholic Identity. The production is a living reenactment of the Way of the Cross which brings to life the Stations of the Cross, commemorating the events of Jesus’ passion and death. Mount St. Mary’s students will participate in the production, which will be produced by Genevieve Williams, C’91, MAT’15. The procession will begin at the east end of University Way in front of Knott Auditorium, and continue to Founder’s Plaza in the heart of the Mount’s campus. “As Lent is the time to reflect on the passion and death of Christ, this is the perfect event to bring the Mount community, and beyond, together,” said Fr. Nolan. 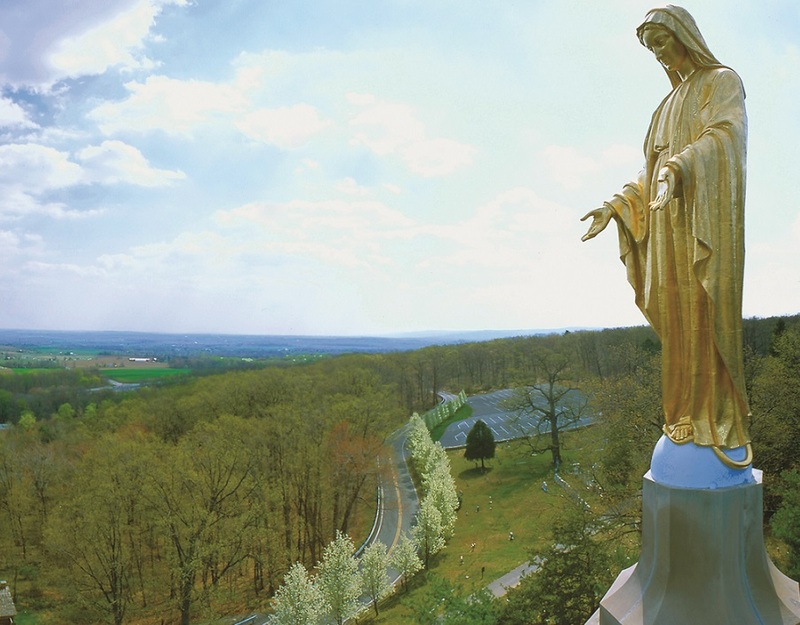 The National Shrine Grotto of Our Lady of Lourdes will hold Mass at noon that day, and lunch will be available in Patriot Hall prior to the event. This event is open to the public. 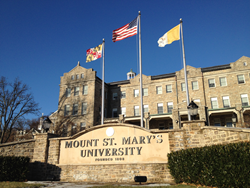 Mount St. Mary's University is a private, liberal arts, Catholic university in the Catoctin Mountains near historic Emmitsburg, Maryland with a satellite campus in Frederick, Maryland’s second largest city. It is committed to education in the service of truth; seeking to cultivate a community of learners formed by faith, engaged in discovery and empowered for leadership in the church, the professions and the world. The undergraduate university is divided into four schools: the College of Liberal Arts, the Richard J. Bolte School of Business, the School of Education & Human Services, and the School of Natural Science and Mathematics. The university has more than 40 majors, minors, concentrations and special programs, including bachelor's/master's combinations in partnership with other universities.